I love collectables. Not 18th century antiques, because frankly, who has the money? But stuff like this. Stuff I call Retro Kitsch. Different, colourful, quirky stuff that makes you smile. This is an American Diner cookbook. It has always been my dream to open a traditional American Diner right here in Sydney. When a local cinema was put up for sale a few years back I tried to convince some friends to invest in it with me. 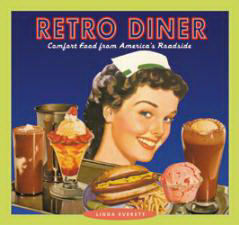 It had a cafe attached to it which I dreamed of turning into a diner. But alas, the price tag was too great at 4 million dollars. Now the whole thing has been turned into offices. And then there’s Elvis. He will always be The King to me. I can’t get enough of this bag. It is perfect for a Sydney summer. I also am really taken by this necklace. 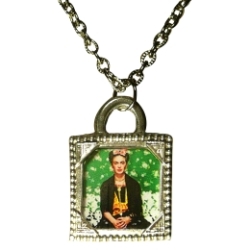 I adore Frida Kahlo and the designer of this necklace Ruby Carmen who is based in Sydney is fantastic. And finally, who doesn’t have a hankering for matadors? I confess to having a weakness for them. Especially on teasets. Talk about spicing up your morning coffee. I enjoy checking out some of the unique items for sale online. It is good to know there are still people out there creating fun items for people to collect. And it is a good form of retail therapy to have a look around. Thanks for coming window shopping with me. Everybody makes fun of me and my new obsession with the disco era…pffft, it’s kitsch and I love it! I love the disco era too. It was so groovy. I like kitschy things because they make me feel good. So go for it, hon! 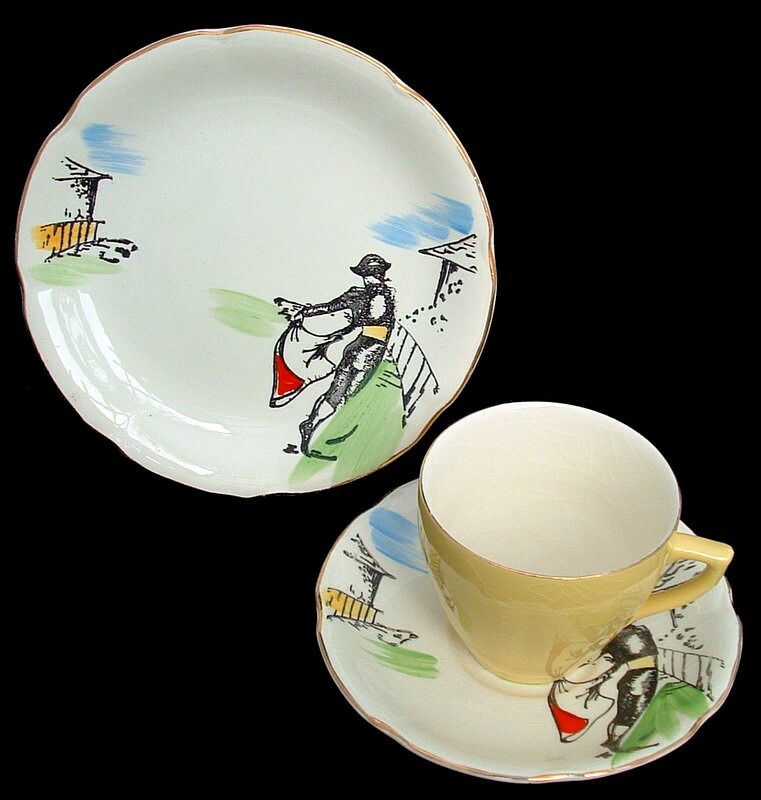 I really love those matador cups. I wonder if they’ll deliver to Australia. Do you think they’d get broken? I think they’d look great in my kitchen. I really love those cups. They might deliver here. You should email them. If they package them properly they should be fine. Let me know if you have any luck. Well, that’s what they say, anyway … BUT … I’m a great fan of Art Deco, and I’m particularly pleased to say they refurbished the Midland Hotel, in Morecambe (where they filmed several episodes of ‘Poirot’) from a near ruin to its former glory. I love that book. It makes me smile to know you have it. I guess there wouldn’t have been much in the way of vegetarian options in the ’50s diners. It was such a classic era but people did love their meat. LOVE the Art Deco. It is an exquisite period. Some of the old cinemas and buildings in Sydney are from that period and are gorgeous. I remember years ago they used to pull them down at the drop of a hat. It was so upsetting. Shadow boards definitely are retro kitsch. I hadn’t thought of it, but they are! I am getting it for Christmas. I am worried that Aussie Customs might not let it come through, though because of the straw. They are very strict about things like that now. 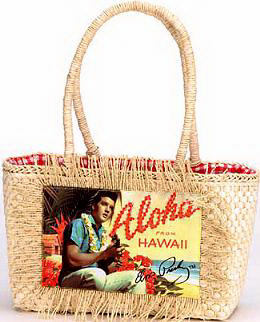 I hope they do let it through because it is just about the coolest bag i have ever seen! I do love a bit of the old kitsch. I want one of those kangaroo statues my mum used to have in her garden in the ’70s. They were so cool! This was a really fun post to read and browse. I felt like I was shopping with you Sel! I collect cat figurines and have a number of vintage teacups and teapots. It is a good form of therapy isn’t it? And I love to think of what stories these vintage items could tell…who owned them, who loved them, it’s all good. PS: Forgot to mention LOVE the new header! It definitely is a good form of therapy. I also love imagining who used to own the vintage items and the story behind them giving them up for sale and so on. It’s so much fun! Any chance of posting about your teapot collection? Or have you already? Id love to see some of the ones you have! It was great window shopping with you! I wish I had some sort of cool collection! I love the diner in Archie’s comics run by Pops. And I like those Matador tea sets. Matadors have class & character. I’ll write that down to do in a future post. I have to write everything down these days. My mind is like a sieve. Great idea, G! There are so many things people collect. I have a friend who collects thimbles. It sounds odd but the collection is really interesting. Some of them are really old and made from different things. There is even one made from bone. I didn’t want to ask if it was a human bone! I love that diner too. The burgers always looked so good, didn’t they? I grew up reading Archie comics and always wanted to be friends with Betty. My mum has a painting of a matador that she got on holiday in Spain about 40 years ago. It is really amazing. Lots of red and black. Very striking!